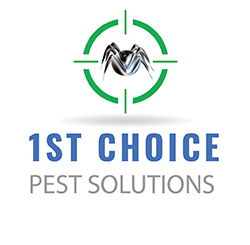 1st Choice Pest Control is a family-owned and operated based out of Mondovi, Wisconsin, founded by Lloyd Katusky. As a young child, Lloyd started his pest control journey working alongside his father in rural Minnesota. In the 1970s, whenever he had the chance, Lloyd would often tag along with his dad who owned his own landscaping business which included pest control. This is where Lloyd learned the basics of extermination work and developed a love for the business. Fast forward to 2015. After spending multiple years with a national pest control brand, Lloyd decided to venture out into a pest business of his own. From his knowledge and skills that he attained at a national company, he can provide residential and commercial pest control at affordable rates for Wisconsin families and businesses alike. In 2016 Lloyd decided to make 1st Choice Pest Solutions a family business, adding his son-in-law Mike Ness as Co-Owner and daughter Colleena Ness as Office Manager. We take care of bedbug extermination in Eau Claire, Menomonie, Mondovi, and the entire surrounding area. Also, if you have rodents, ants, termites, wildlife, or any other kind of pest issue, please contact us for friendly, professional service. We look forward to serving you. Contact us today to get started. I am excited to be joining the 1st Choice Pest Solutions team as the vice president of operations. 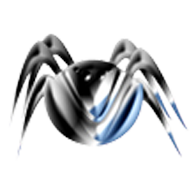 I bring 14 years of experience in commercial, residential and industrial pest management. I am an Associate Certified Entomologist and a Master Technician in the State of Wisconsin and have continued my training the Purdue Universities entomology department. 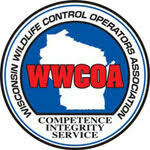 I am also on the National Pest Management Association’s Commercial Committee. I enjoy spending time with my family which includes my wife Denise, two daughters Sarah and Katie and their families. In my spare time I enjoy outdoor activities which includes bird hunting with my two German Shorthairs Jack and Fritz. I look forward to helping you with all of your pest management needs!